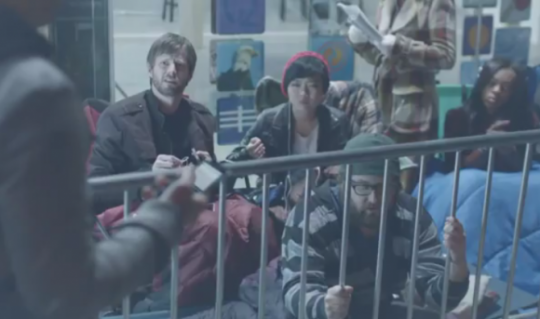 How to describe Samsung’s latest advertising campaign against Apple… obnoxious? Cheeky? Brutally honest, perhaps? Whatever you call it, the series of commercials is downright entertaining for Android fans of all creed and color, especially those who’ve experienced their iPhone-totting friends trying to hide pangs of regret as they lament their tiny, locked-down iDevice. Samsung’s latest ad, which it’s calling “Samsunged”, pokes fun at the iPhone’s lack of built-in turn by turn navigation. To be fair, almost every href=”http://code.google.com/android/” rel=”homepage” target=”_blank” title=”Android”>Android phone and tablet has that feature, and has since the original href=”http://www.motorola.com/Consumers/US-EN/Consumer-Product-and-Services/Mobile-Phones/Motorola-DROID-US-EN” rel=”homepage” target=”_blank” title=”Motorola Droid”>Motorola DROID way back in 2009. Samsung is omitting certain truths withthe implication that turn by turn navigation is unique to the Galaxy S II, even if they don’t outright say it. But then, this series of adds has served more as a put down for rabid Apple fanatics (“Dude, you’re a barista.”) than an actual demonstration of Samsung’s products. It’s also a whole lot of fun for the Android faithful, no matter what your chosen manufacturer is. Though Samsung probably has a few particular reasons to be bitter at the moment. A Samsung representative said that the Next Big Thing campaign would continue until a major culmination during the Superbowl on February 13th. We can’t wait to see what Samsung’s got cooked up for the big game, especially since Apple usually has at least one thirty-second dose of concentrated self-congratulation and hyperbole commercial every year.